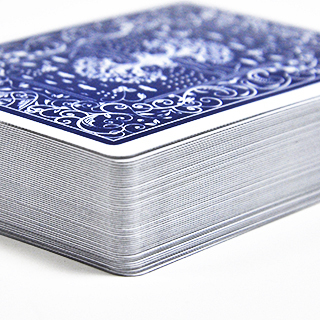 6 deck set: Stealth Ed., Phantom Ed., Standard Ed., Court Ed., Cardinal Ed. and Racing Ed. Buy 4 deck for $74.95. Contact us for bulk purchase. 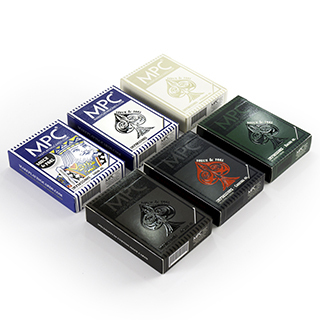 The MPC Impressions 6 deck set contains a deck of each playing cards edition including Stealth, Phantom, Standard, Court, Cardinal and Racing. 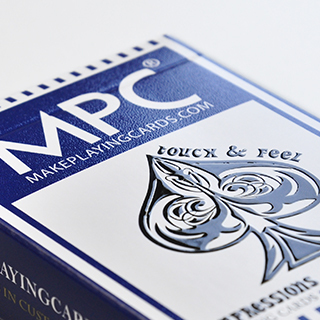 Raised high gloss UV printed on card faces and on tuck box provided an all new and pioneering unique touch and feel on a deck of cards. 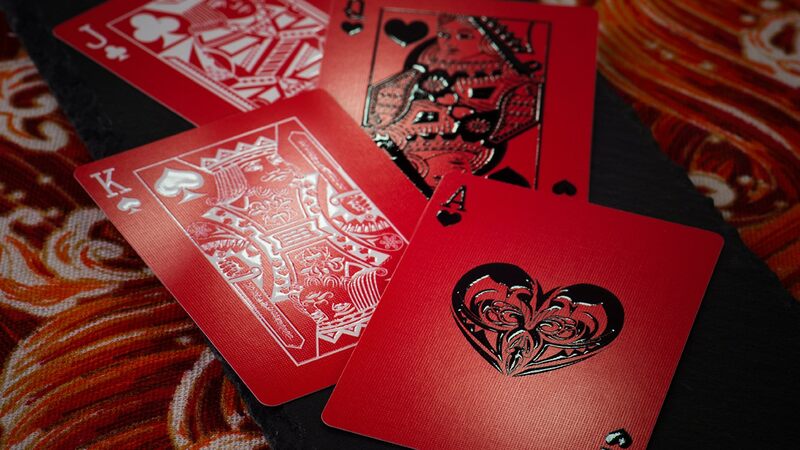 What's more, these cards not only look beautiful as they were manufactured in a very special way to allow them to be handled and played as a normal deck of cards. 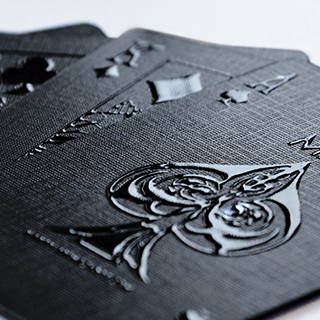 The Impressions decks are the first of its kind in the playing cards industry and has never been done before. 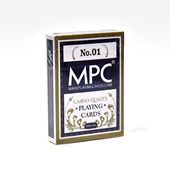 MPC has pioneered this beautiful concept where players can admire, touch as well as play these cards. First made available on Kickstarter. See the project here. Buy 6 deck for $74.95. 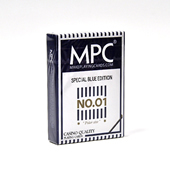 Contact us for bulk purchase. If you have any questions on our products or on your customization needs, please contact our sales and technical team.